West of Faribault on Sunday afternoon. A Sunday afternoon drive took my husband and me west of our Faribault home along Cedar Lake Boulevard and then on Old Dodd Road, all the way to Kilkenny. From the Irish settlement, we continued west and then south and west and south and, well, I don’t navigate, until we entered Elysian from the north. We then aimed back east and north along a dusty gravel road and then a tar road to Waterville. 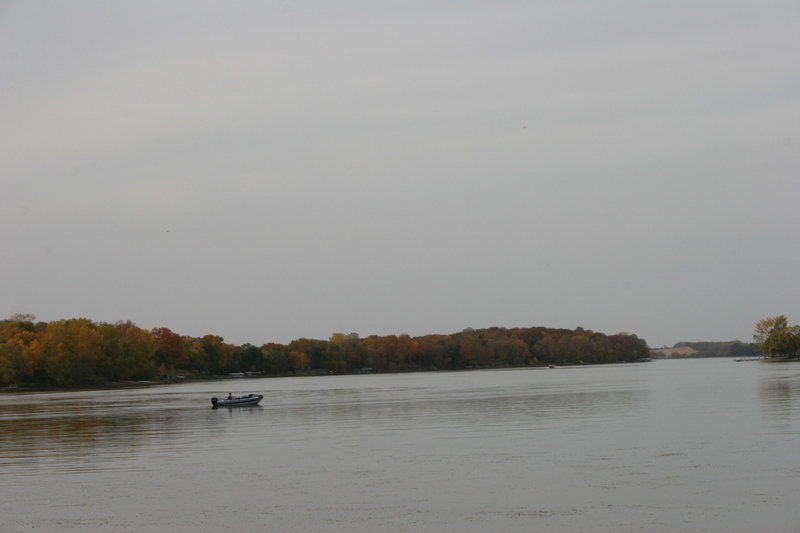 We traveled through the North Morristown area and, nearing Faribault, skirted Cannon Lake on the north and east. It was, for us, a leisurely horseshoe drive to view lovely Autumn, dressed in her Sunday best. North and east of Waterville somewhere, maybe closer to North Morristown. 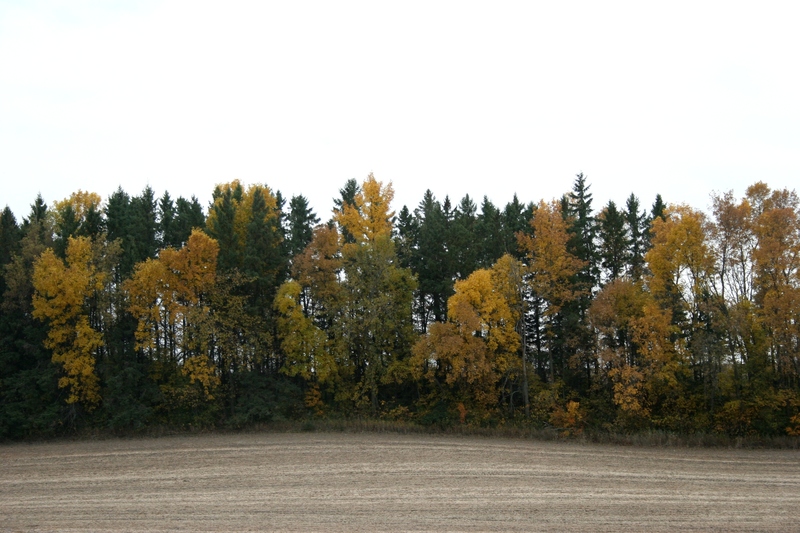 A lovely treeline somewhere on the eastern end of our route. 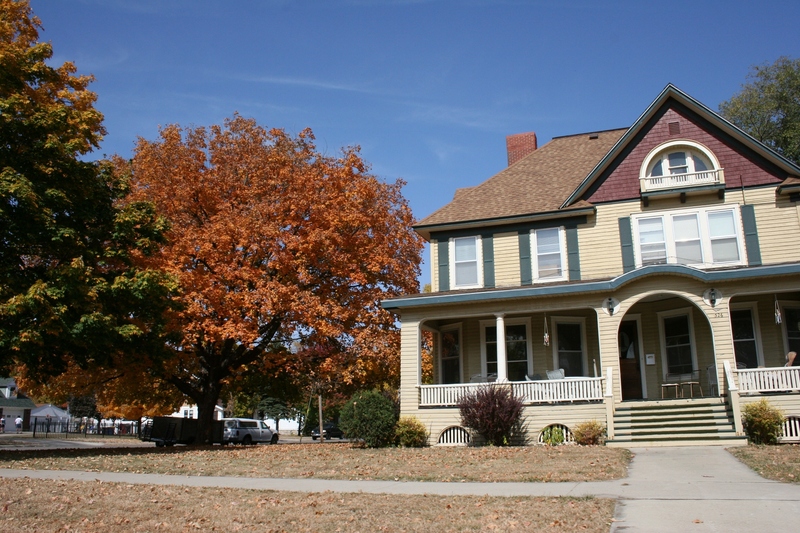 Along Seventh Street in Faribault….my community has stunning autumn colors along many, many residential streets. 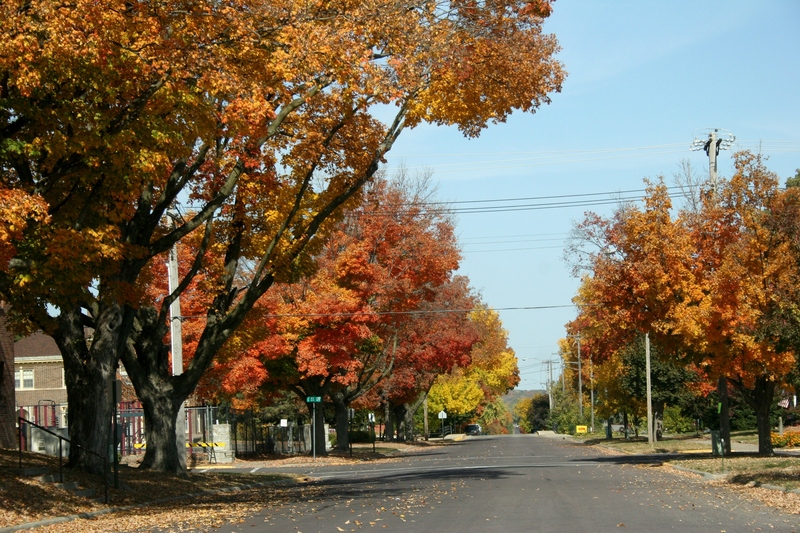 A block away up the hill from my house are some of the most blazing gorgeous trees in town lining Second Avenue Southwest by Bethlehem Academy. 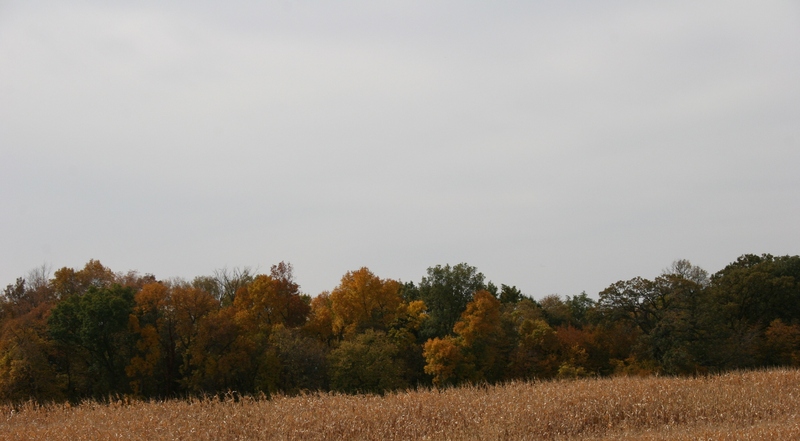 An elevator just outside of Vermillion, MN., near Hastings on Saturday morning. DECADES HAVE PASSED since I’ve been home on the farm for harvest. My middle brother quit farming years ago and the home place is now rented out. 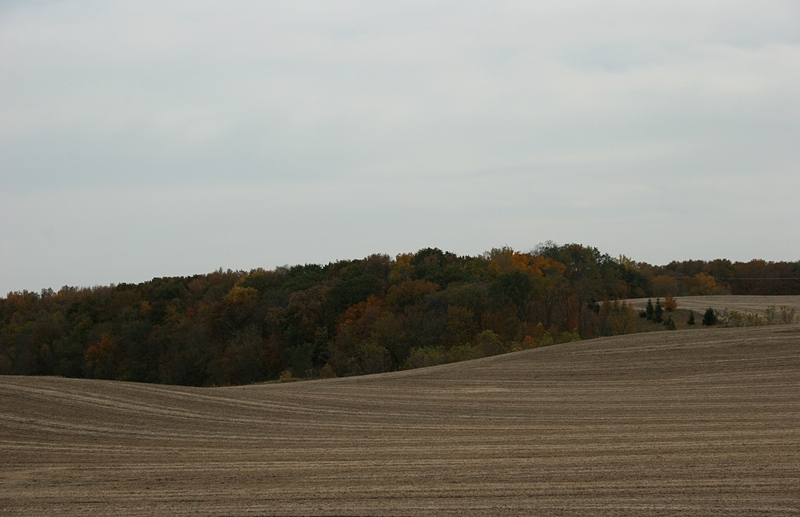 A harvested cornfield between Hastings and Cannon Falls. 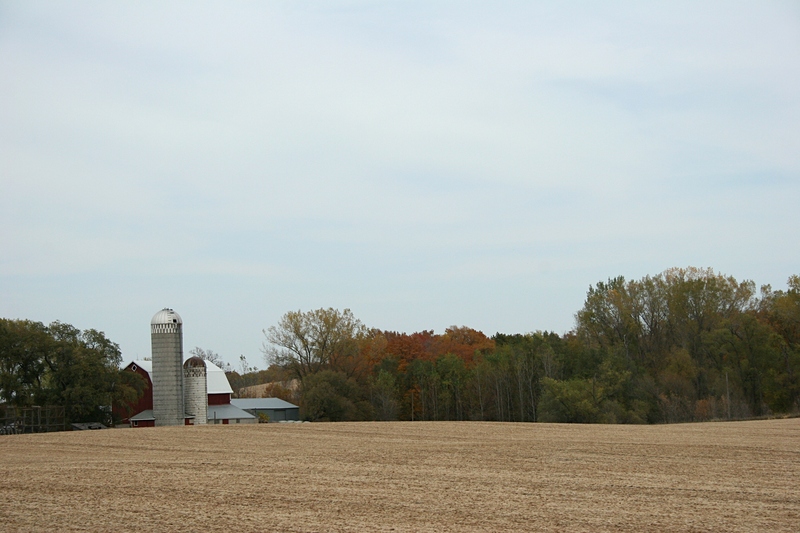 I miss being on the farm, anticipating the bringing in of the crop, then watching the combines chomp through rows of brittle cornstalks and brown fields of ripened soybeans. Between Hastings and Cannon Falls. I miss the undeniable scent of earth and plant residue. 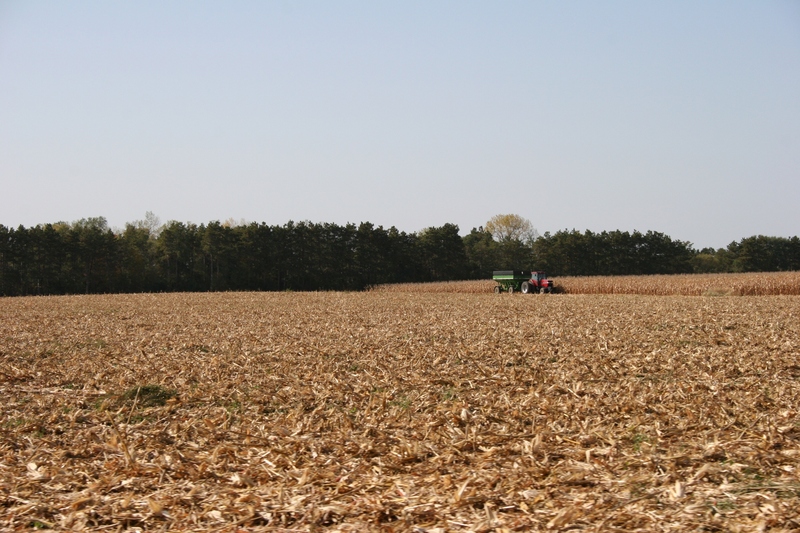 Harvesting corn just south of Hastings on Saturday afternoon. I miss the grain wagons brimming with golden kernels. 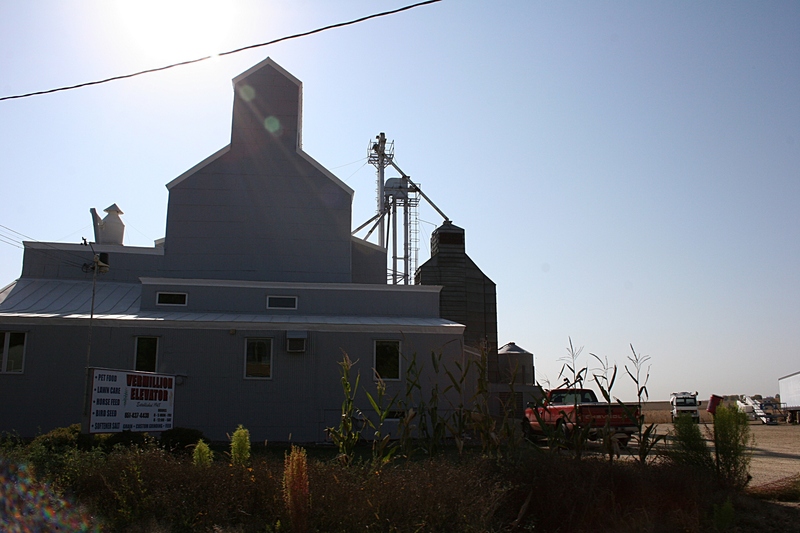 The Vermillion Elevator, in the small town of Vermillion. 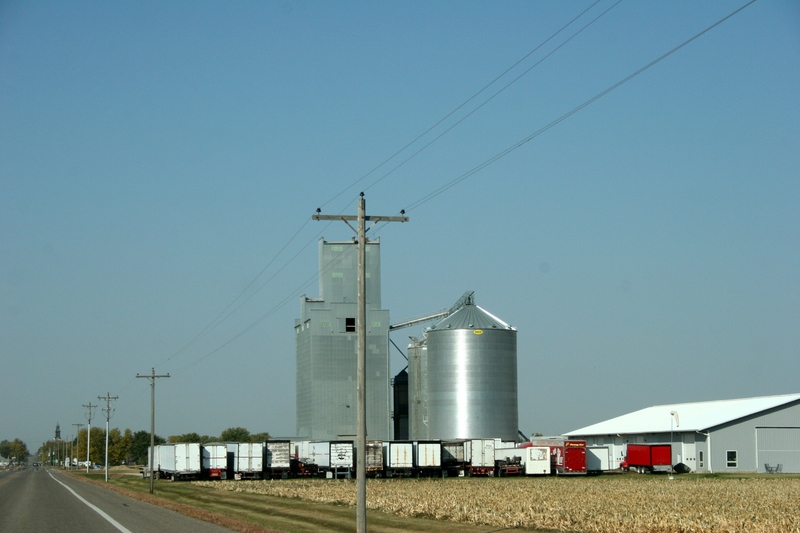 I miss living in a rural community where tractors and aged grain trucks line up at the local co-op elevator. I miss the hum of grain dryers drying corn. 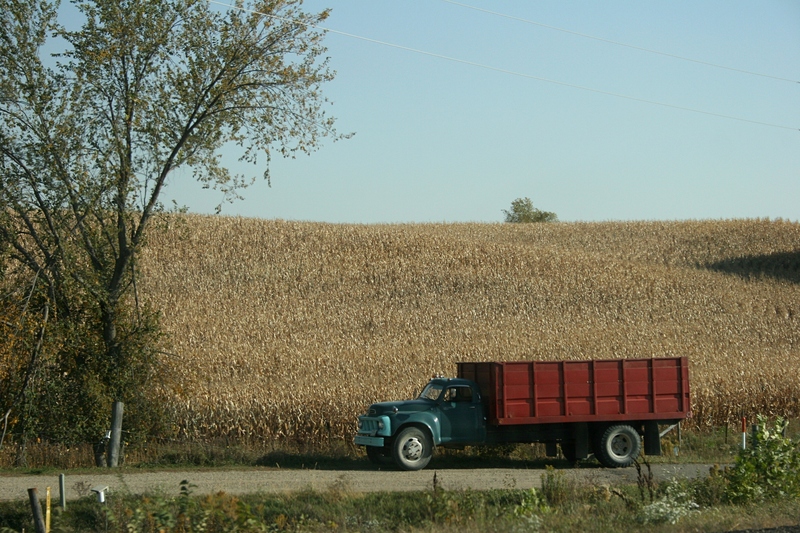 A grain truck waits on a gravel road near Cannon City, east of Faribault. Now I view the harvest from a distance, as an observer passing by. Birthday roses from my husband, Randy. WHAT WOMAN DOESN’T love roses and poetry? 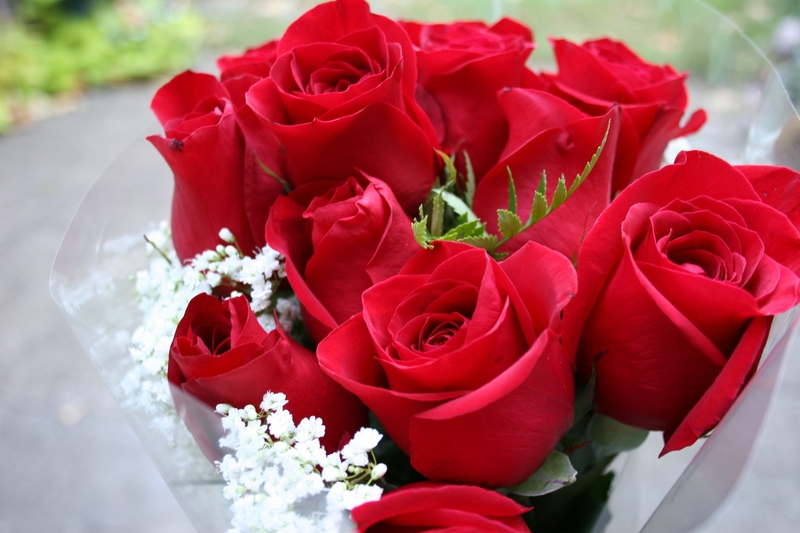 After work on Wednesday, my 56th birthday, my dear husband brought me a dozen wrapped long-stem roses. Then he disappeared, tools and parts in hand, down the basement stairs to the laundry room to repair my clothes dryer which no longer was producing heat. Roses from the repairman. Perfect. Simultaneously, I was upstairs in my office checking my email while my birthday supper, homemade lasagna, finished baking. 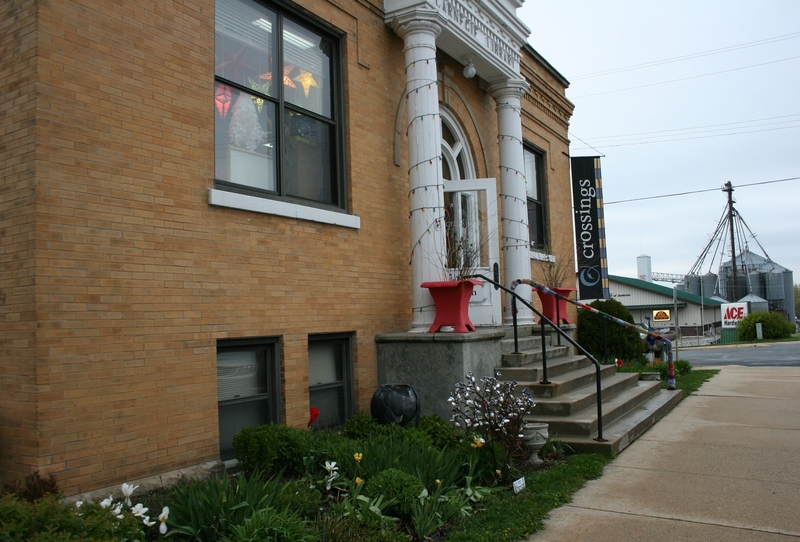 Crossings at Carnegie, housed in a former Carnegie library, is a privately-owned cultural visual and performing arts center in Zumbrota. Minnesota Prairie Roots file photo. Thank you for submitting poetry/prose to be considered for Crossings’ “It’s All One Water” exhibit. We received about 110 poems, from which jurors chose 28. It was exciting to receive such a fine outpouring of exceptional work from so many talented writers. Jurists told us they were a pleasure to read, and selecting those to be included was a difficult task. We are pleased to inform you that your entry, “In which Autumn searches for Water,” was chosen to be part of this exhibit. Your poem will be on display, along with other written works and photographs, through the month of October. How sweet is that? Another dozen roses, figuratively speaking. I’ll admit that when I submitted “In which Autumn searches for Water,” I was confident my poem would be selected for Crossings’ joint collaboration with the Zumbro Watershed Partnership. I don’t mean that in an arrogant, haughty way. But I think those of us who write realize when we’ve written a piece that sings. Not that I’m going to sing. You would not want to hear me sing. But I will read my water-themed poem during the Friday, October 19, “It’s All One Water” reception which begins at 7 p.m. A reading of written pieces, with screen projection of water-themed photos, will start at 7:30 p.m. next door to Crossings at the Zumbrota State Theatre. A chapbook of selected photos and writing (maybe my poem?) also will be published. There you have it, roses and poetry. Perfect. ANOTHER FARIBAULT RESIDENT, Larry Gavin, a writer who teaches English at Faribault High School (he’s taught all three of my kids), is also among the “It’s All One Water” selected poets. Larry, however, is eons ahead of me in poetry. He’s already published three poetry collections. Like me, though, he also was published on Roadside Poetry project billboards (now ending after a run of 22 seasonal poems). You can learn more about this gifted Faribault poet in a post I published nearly a year ago by clicking here. IT’S GOING TO BE ONE of those glorious fall weekends in Minnesota. Trees flaming with color. Crisp cobalt blue skies. A certain awareness that these sunny, warm days of autumn will soon morph into the gray weeks of winter. Instead, hop in the car and take a fall drive this weekend. Follow a meandering gravel road. Banish “hurry” from your vocabulary. Slow down. Park your vehicle and walk. Then dine at a local community-centered activity like Cannon Valley Lutheran High School’s annual auction at the Morristown Community Center beginning at 4:30 p.m. on Saturday. Wait a minute, you say. What does that have to do with food? Well, the CVLHS event includes a bake sale. I know the woman organizing the bake sale and, based on that, you can be assured of an excellent selection of home-baked goods. 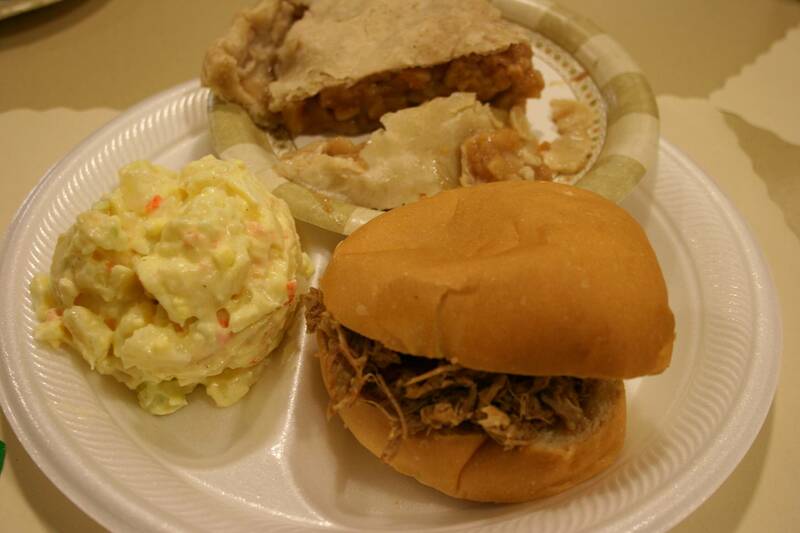 You can’t beat the food served during the CVLHS auction, like this pork sandwich, potato salad and homemade apple pie. 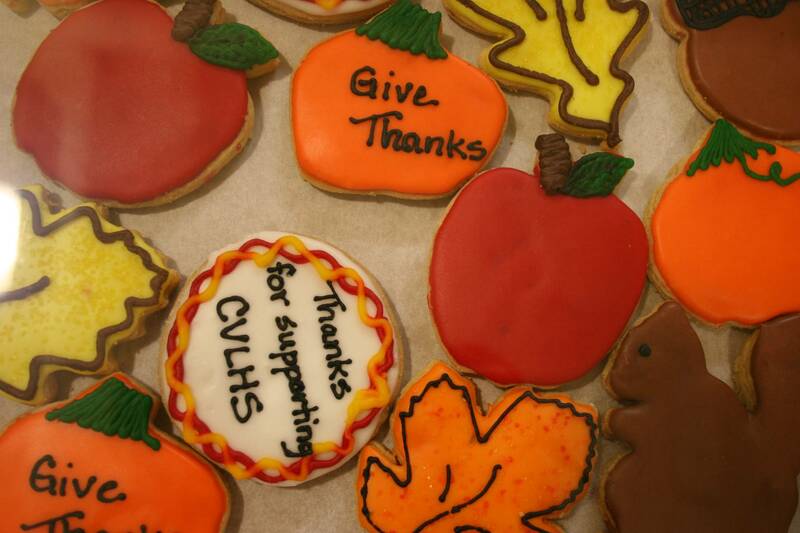 One dozen of Kathy Hallanger’s fall-themed cookies sold for $40 at a previous auction. Just to let you know…another example of how great people are…as I am standing in the office at CVLHS this morning…looking straight at the window…in pulls a pickup and trailer with an “M” 1944 Farmall Tractor for the auction! So there, need a vintage tractor? Or how about a goat? Mike told me earlier this week about a game involving a real goat. Seems someone may be “stuck” with a goat, although you apparently can buy “goat insurance” to insure yourself from owning said goat. 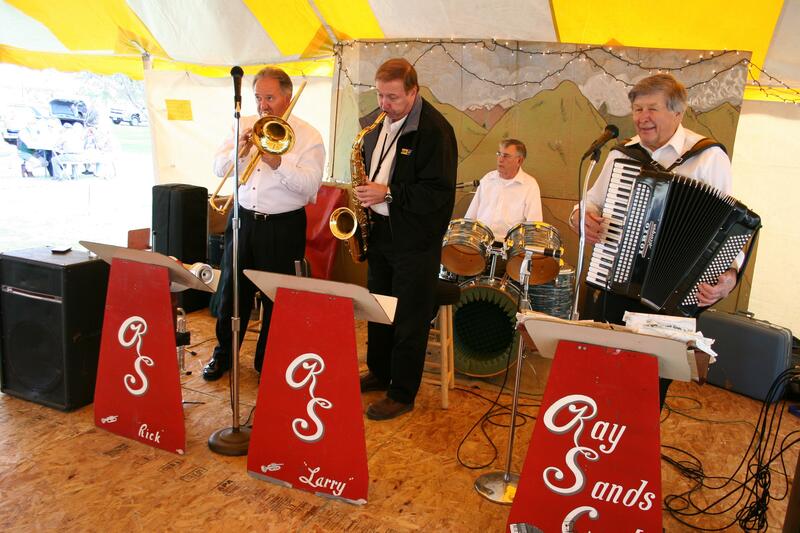 The Ray Sands Band played at the 2011 Germanfest. 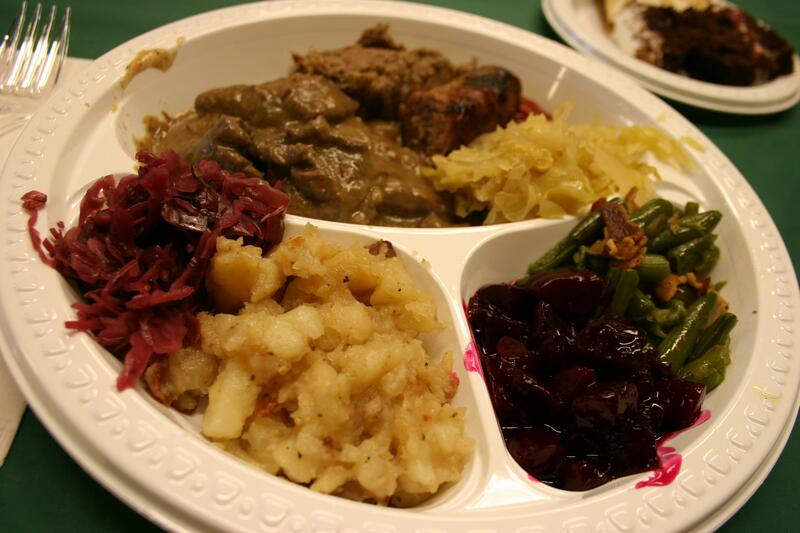 Then, on Sunday, head east of Faribault to St. John’s United Church of Christ, Wheeling Township, for the congregation’s annual Germanfest which includes a 10 a.m. worship service, a 3 p.m. polka praise service and a German buffet served from 11 a.m. – 2 p.m. and then again from 4 p.m. – 6 p.m.
Deutsche food served in 2011: German potato salad, red cabbage, sauerbraten, rinderwurst, a brat, sauerkraut, beets and green beans on my plate. Will you be attending a community event this weekend? If so, feel free to share in a comment. Or are you organizing or participating in any such event this weekend in Minnesota? Here’s your chance to spread the word. Submit a brief comment with info. 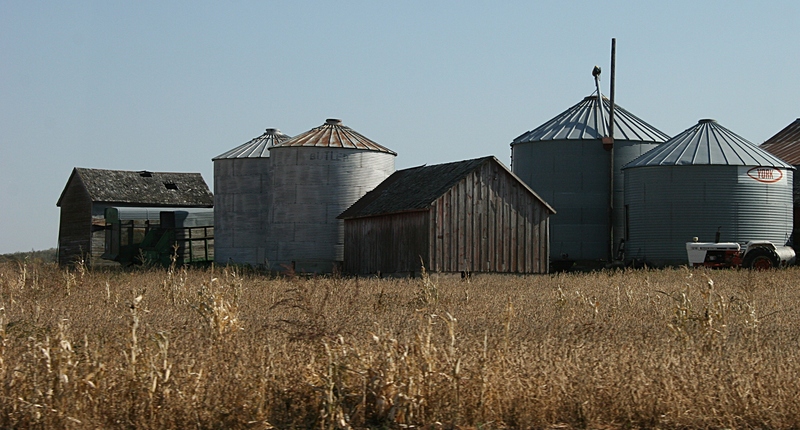 It’s all about community here on Minnesota Prairie Roots. IN LIFE, RHODY YULE, impressed me with his humble spirit, deep faith and artistic talent. He thought the best of everyone. He appreciated life so much that, even up until days before his June 2011 death when he was but a shell of his former physical self, he desired to live beyond his 92 years. 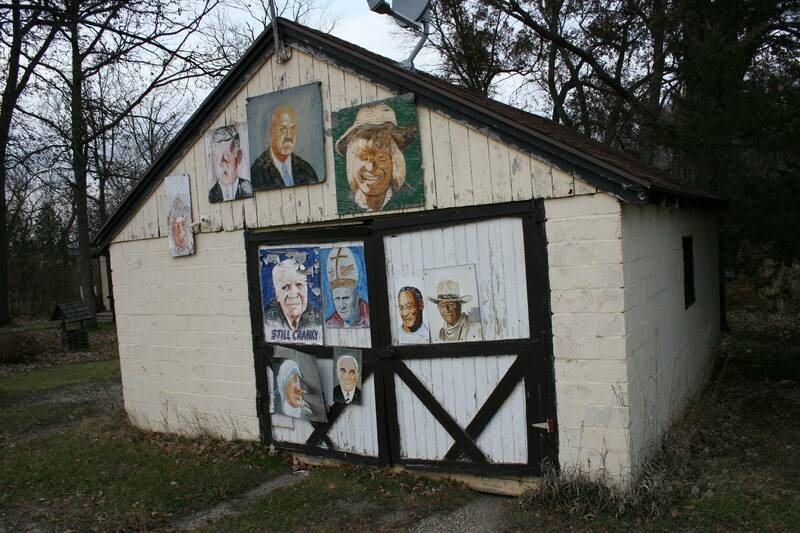 Celebrity portraits Rhody Yule painted and hung on his garage, where I first discovered his work in the fall of 2009 while driving past his rural Rice County residence. Losing my friend of only a few years—the man I met because I photographed the portraits he had painted and hung on the side of his garage in rural Rice County—was difficult for me. Yet, I knew Rhody’s legacy would live on in the hundreds of paintings he created through the decades. 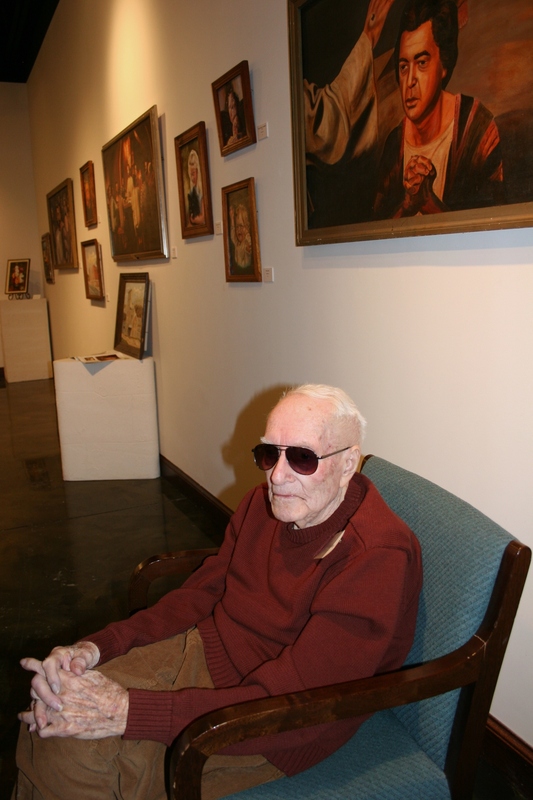 Rhody, minutes before his gallery show opened in January 2011 at the Paradise Center for the Arts, Faribault. 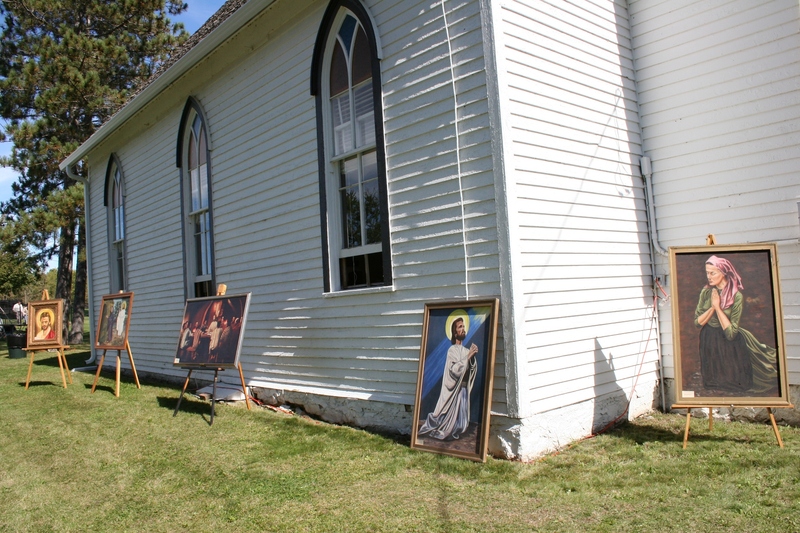 It was my absolute honor, after discovering Rhody’s work, to bring his paintings to the public via a mini art show at Christdala Evangelical Swedish Lutheran Church, rural Millersburg, and then during a much larger gallery exhibit at the Paradise Center for the Arts in Faribault. And now Rhody, in death, has blessed me with the gift of one of his paintings, the painting he knew I most favored. A sampling of the religious paintings Rhody exhibited at a mini show at Christdala on September 26, 2010. The painting on the right is the one Rhody gifted to me. On Tuesday evening, the day before my 56th birthday and just a day shy of the two-year anniversary of that mini exhibit at Christdala—yes, I spent my 54th birthday setting up that art show for Rhody—I picked up the painting Rhody wanted me to have. 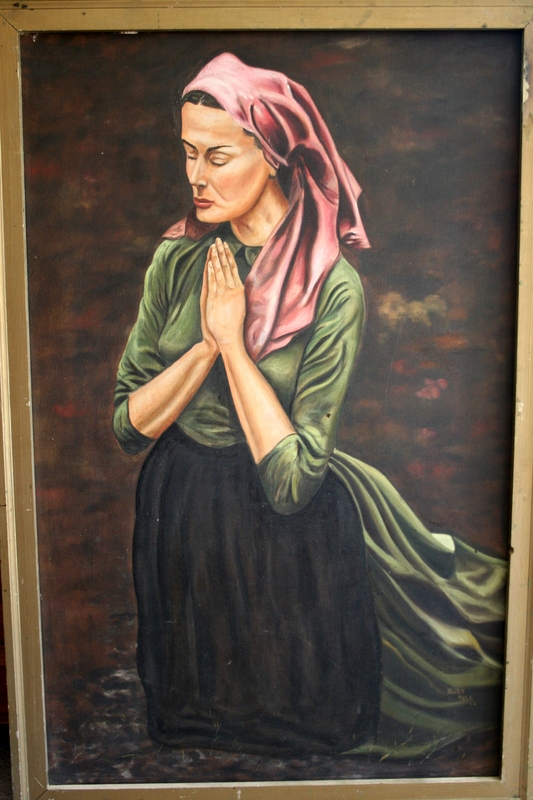 I’d known for a few weeks that I was to receive the painting I’ve come to call “Woman in Reverent Prayer.” Tuesday I phoned Rhody’s stepson, Bob, asking if my husband, Randy, and I could come over and pick up the piece of art in a half hour. That would work, Bob said. Over at Bob and his wife Kathy’s condo, Rhody’s prayerful woman painting leaned against the living room wall as we reminisced about the man we had each loved. And as I remembered Rhody, I felt myself slipping into sadness. I missed him and wished I had known him longer. Then, when Bob told me how Rhody wanted me to have that particular painting and how Rhody’s gallery show at the Paradise was the highlight of the last year of his life, the tears seeped from my eyes. To be able to give someone like Rhody such a gift, to realize how much this meant to him, prompts the most humbling and joyful of emotions. Shortly thereafter as I caressed the painting, Bob suggested that I might want to replace the dinged frame. No, I would keep the frame Rhody crafted, I said, running my fingers along the wood. Bob lifted the four-foot by 2 1/2-foot painting onto the dining room table then so we could examine the date under Rhody’s signature. We could barely decipher the faint curve of double sixes, meaning Rhody painted “Woman in Reverent Prayer” in 1966 when I was just 10 years old. I know nothing, really, about the oil painting except Rhody once sharing that it was based on another painting or photo, minus the rosary beads clasped in the kneeling woman’s prayerful hands. Now, each time I view Rhody’s painting, which will soon grace a wall in my living room, I am reminded of my friend’s deep faith. And I am reminded of how very much his friendship meant to me and likewise my friendship to him. To realize that Rhody wanted me to have this painting simply touches my heart with gratitude and love. 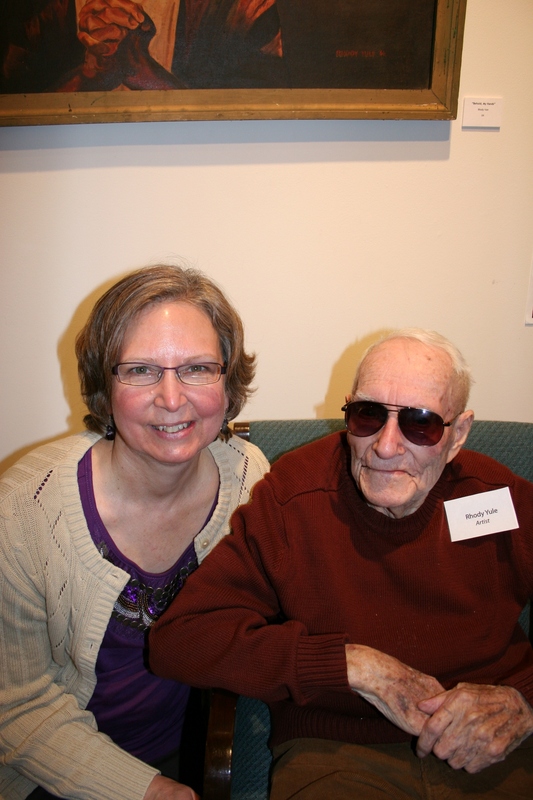 Rhody and me at his opening night gallery reception in January 2011 at the Paradise Center for the Arts, Faribault. FYI: To read about Rhody’s mini art show at Christdala Evangelical Swedish Lutheran Church, click here. To read about Rhody’s January 2011 gallery exhibit at the Paradise Center for the Arts, Faribault, click here. To read my tribute to Rhody upon his death, click here. WHY DID IT TAKE ME until recently to determine that poetry is meant to be read aloud, preferably by the poet, and not just silently to one’s self? That poetry-inspired art celebration proved pivotal for me, prompting a personal recognition that poetry is as much performance art as it is an intimate experience. And now the independent, nonprofit Northern Community Radio, with studios in Grand Rapids and Bemidji, Minnesota, recognizing the importance of poetry read aloud, is bringing poetry to the public via The Beat, broadcasting a poem a day by a poet with a Minnesota connection. I proved that on September 17 with the reading of my poem, “Her Treasure.” Because traveling hundreds of miles up north from southern Minnesota was neither practical nor cost effective for me, The Beat producer Steve Downing, himself a published poet, read my poem. You can listen to Downing’s fine rendition of “Her Treasure” by clicking here. 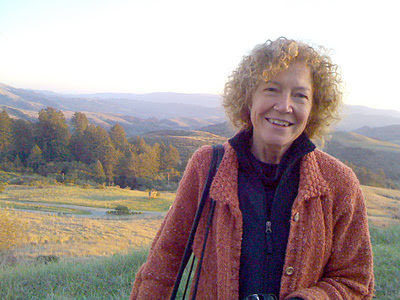 Minnesota’s 2011 Poet Laureate, Joyce Sutphen of Chaska. Since early July, an assortment of about three dozen poets—from the well-known John Berryman, James Wright, Joyce Sutphen, Louis Jenkins, Will Weaver and Sean Hill—to the complete unknowns have been featured on The Beat. 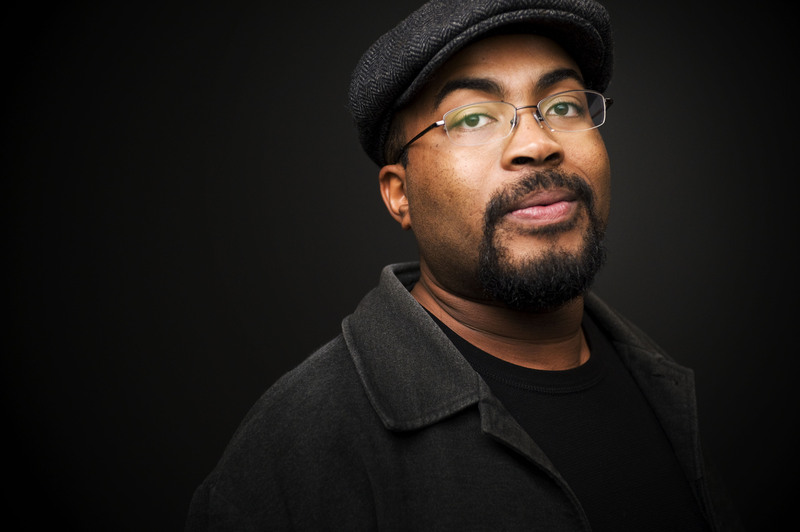 Poet Sean Hill recently moved from Bemidji to Alaska where he is teaching creative writing at a university in Fairbanks. Milkweed Editons will publish his second collection of poetry in 2014. The show airs weekdays between 7:30 – 8 a.m. and then again between 3:30 – 4 p.m. on 91.7 FM in north-central and northeastern Minnesota, 90.5 FM in north-central and northwestern Minnesota and on 89.9 FM in the Brainerd area. With 150,000 listeners under the NCR signal, coverage extends from Grygla on the north to Pierz on the south to Fertile on the west and Hermantown on the east. And for those outside the coverage area, like me, The Beat can be heard via audio streaming from kaxe.org or via the KAXE online archives. “Reaction from poets and listeners, including folks who thought they hated poetry, has been unconditionally affirmative, making us think this was a success story waiting to happen,” says producer/poet Downing, also a former high school English teacher, published essayist, arts administrator and lifelong musician. He and two others—NCR’s program director, who interviews writers for her long-standing RealGoodWords show, and a design-artist NCR staffer who is also a poet and has taught English at the college level—have been evaluating the hundreds of poetry submissions coming in from across the state. The three-person jury meets every Friday to look at/listen to submissions. “The jury looks for creative work that, first, sparks a positive ‘gut’ response; that demonstrates originality; that makes smart word choices; and that’s provocative, in the best sense of the word,” Downing explains. He advises submitting poets to avoid the topics of partisan politics, religion and lost love and to remember that the Federal Communications Commission is listening. 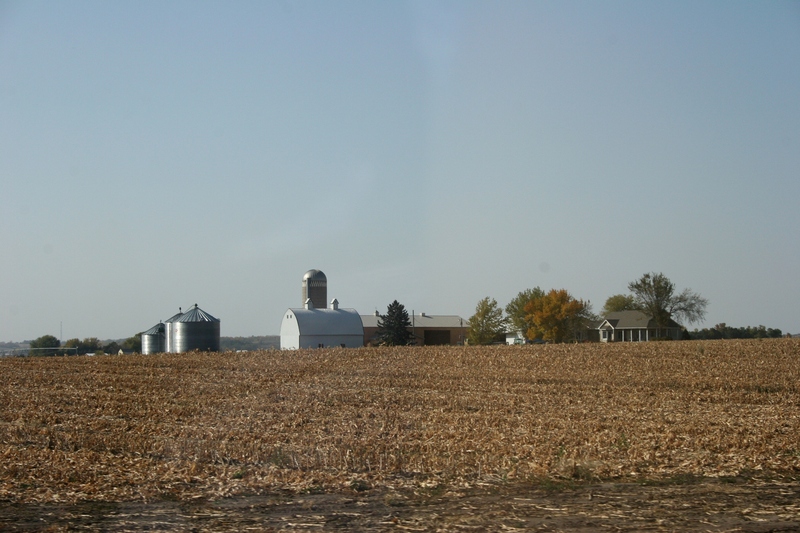 The range of topics is “all over the place,” Downing says, although some poems are somewhat “Minnesota-centric,” covering subjects like family farms, old barns, and the state’s flora, fauna and weather. The Beat is currently funded by a one-year $30,000 allocation from the Minnesota Arts & Cultural Heritage Fund. 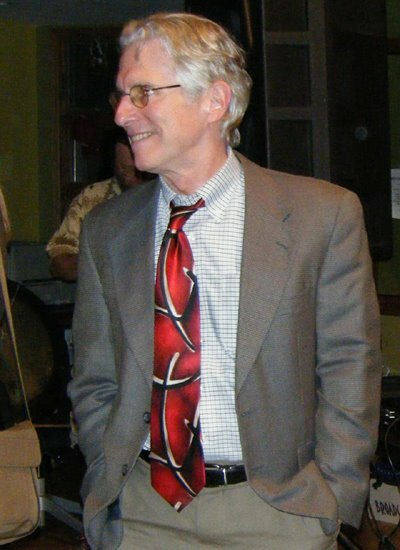 The history of The Beat, however, stretches back several years to The Beat Cafe, a live-on-air pledge drive program which, among other Beat content, featured Downing reading his poems, with live bass and percussion accompaniment. The success of that first show prompted discussion on how to make this happen again. So come spring 2013, The Beat Cafe fundraiser will be back with live-on-air poetry and music. 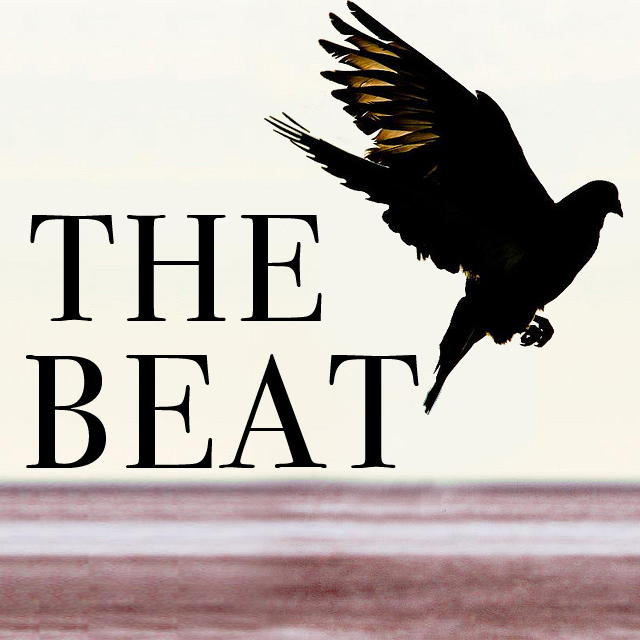 Between now and then, though, Downing will continue to air selected poetry by Minnesota poets, known and unknown, and will apply again for state funding to continue the popular poetry program, The Beat. A poem should take three minutes or less to read. Once accepted for The Beat, poets have recorded their poems at KAXE in Grand Rapids, KBXE in Bemidji and at KFAI in Minneapolis or on their own devices. NCR also offers the option of Downing or others reading a selected poem if the poet cannot record his/her work. I contacted Downing about writing this post after my poem was selected by the jury for airing on The Beat. 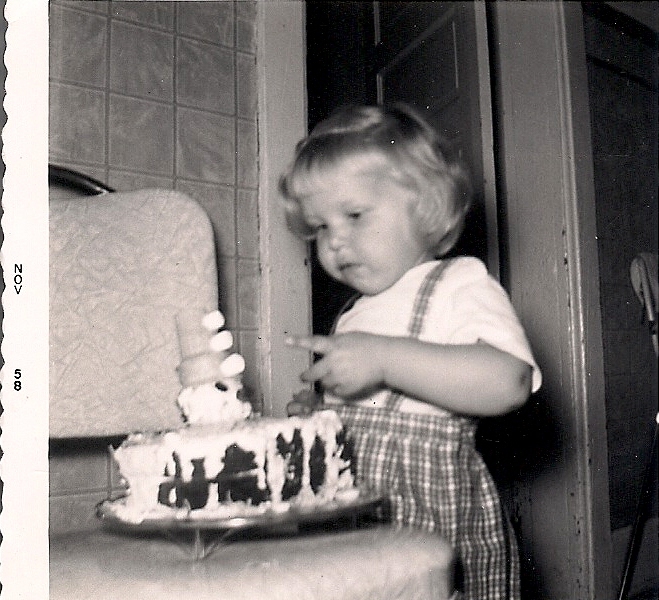 My second birthday and the clown cake my mom made for me. It wasn’t exactly an enthusiastic response because I’m not all that enthusiastic about turning 56 today. That number puts me closer to 60 than 50 and I favor a five in front of a zero rather than a six. Now that I’ve exposed that bit of birthday melancholy, let’s focus on the positive. A birthday truly is pause for celebration and thankfulness. As for that celebrating part…I had this novel idea for a pre-birthday dinner we hosted on Sunday. I wanted to have some Old 56 beer on hand. I thought that would be cool (yes an outdated word, but, hey, I was a 70s teen), offering a memorable beverage for someone born in 1956 and turning 56. Besides that, Old 56 is produced by my favorite craft brewery, Brau Brothers Brewing Company in tiny Lucan, five miles from the southwestern Minnesota farm where I grew up. I hear, though, that the brewery is relocating to Marshall 15 miles to the west, which saddens me. That is another story. Do you think, though, that my husband could find any Old 56 locally, at least in the two liquor stores he had time to shop? No. So there was no Old 56 crisp light lager named after the fire engine the city of Lucan purchased in 1956.